They both possess almost similar character and hence very little possibility for any issue in their relationship. Both like to have a pleasant life. They always make sure to do new always in order to keep up enthusiasm in life. They both hate monotonous life. They always live in their present. Their relationship remains extremely smooth only if they both avoid interfering in their partner’s life. Gemini may always take lengthy time to take any decision which may sometimes result in minor issues. They may in turn Aries a little. There exists a radiant zodiac match between them. There discussions are filled with expressive and rational opinion. They brighten their partner’s life and they know very well know to live their life happily. They both love to trace enthusiasm, diversity, novel challenges and new ventures in their life. They will not get bored in their relationship. There is a chance for some sizzling issues but they get cool down very soon. She help him on each and every step and he knows exactly how to satisfy her. Together they make fun, talk and love together. Their relationship is filled with lots of energy. They share their views with their partner and he try to dominate her. She always focuses on his dreams. His romantic shrugs and decoy can entice her completely. Taurus thinks a lot before taking any step in their life. He cannot take any decision in a hurry state but Gemini is totally impatient. Gemini is not reliable always. This may ultimately end up in various issues when they get involved in a relationship. The amusing behavior of Gemini attracts Taurus initially but later on they get bored very easily. This condition may lead to tension and pressure in their life. Gemini’s agitation may collapse the coolness of Taurus. Taurus is completely independent in taking any decision whereas Gemini always depends on other person to take any decision. Gemini love to have freedom. Gemini is adversely affected by the possessive nature of Taurus. They can make a very good match only if they can handle their differences effectively. Taurus learns to leave things and keep moving from Gemini on the other side; Taurus makes Gemini to practice stability in their life. She gets attracted towards him very easily. It will be puzzling to see their long lasting relationship. Her self-assurance, extrovert nature and ever-lasting vigor may enthrall him completely. Her lively nature may get choked by his possessiveness. They can make an excellent match if they can overcome their differences. This is going to be a less compatible match. Her faithful nature is not well complemented by his irresponsible nature and eagerness. She may go envious because of his teasing nature. She appears to lack adventurous nature and less anticipation feelings for him. They share lot of energy and fun when they enter into a relationship. Both form an amusing partnership. They love to have variations. When they both enter into a relationship, they both please their partner forever. Because of their mutual interest for change, there exist too much of attraction and ultimately they may end up feeling frantic. On the other hand, they may become conventional and very dull. Gemini born is scholars and hence when they both think in their mind, there comes compatibility issues. There share similar qualities and hence their zodiac match remains excellent. Both are not very serious towards their life, and hence they may not form a touching and serious relationship. Both are fun loving personalities and they won’t get bored in this relationship. They are not very serious and hurry to get settled in their life. They tune their relationship effectively. On the other side, they two are envious which may generate few issues in their compatibility. They both need to adjust in order to stay in this relationship. They should learn to pay attention to their partner’s feelings and opinion and also try to admire their views. They can be successful in life only if they try to give commitment to their partner. They does not possess too much of common qualities. These dissimilarities may bring balance in their relationship. Cancer will always be there for Gemini. Gemini is not as emotional as Cancer. Cancer believes in reality whereas Gemini lives in imaginative world. Sappy Cancer may get hurt by this behavior. Gemini relies only on words but Cancer believes to perform actions. The main positive point in their relationship is that Cancer gets attracted towards the intelligence and funny nature of Gemini. The Flirting Gemini makes Cancer to feel anxious and protective. She gets immediately attracted towards his eagerness and liveliness. Her receptive etiquette and modest behavior seems to be very interesting to him. Before they get adjusted to this relationship there arise various other issues. Her very hot nature may not get complemented by his frosty nature. His hesitant nature to provide complete commitment to their relationship makes her to feel unconfident and she ultimately withdraw from this relationship. He is completely passionate to attract her. She is not very much interested in forming a long lasting relationship. But at the same time, he gets committed in this relationship completely. He is very suspicious and may generate problems in their relationship. Cancer man looks for lot of attention and love. This relationship can be kept alive only with abundance of adjustments. They share common qualities. They love to have fun and enjoy their life. They maintain charm in their relationship. They love to have the company of their partner. Gemini and Leo remain in the same rational platform. Leo may go envious of Gemini’s diversified interest. Leo will look forward for an eternal relationship. The delicate nature of Leo may get hurt by Gemini’s short temper at times. This may check their compatibility in their relationship. But Leo may excuse very easily. They may have a strong relationship if they learn to provide freedom to their partner. They draw attention of their partner in their relationship. They always have a meaningful discussion and there is no chance to have monotony in their relationship. He should control the way he flirt with people and at the same time, she should give him sufficient time to frame his life as per his interest. They are high chance for them to behave mature in their relationship. Both of them belong to the category of communal personalities. They like to meet many new people and love to attend parties. She may get attracted by his liberal behavior, funny humor and also his showiness. Her liveliness may get appraisal from him. If they can come across their contradictory part, they may form a long lasting relationship. Gemini born individuals are very intelligent and cogent. Virgo also carries similar traits. They share a very good relationship especially on the academic front. They are highly vigilant and very careful towards their life. They both are highly practical towards their external world. They also possess negative attributes. This may lead to minor confusion in their relationship. Virgo possesses stability by nature. Their relationship will work definitely if they learn to respect their partner. He generally gets attracted towards Virgo partner. This may appear to be ecstatic relationship during initial days. But in a long run, various other issues develop. They try to have soul satisfying discussion with their partner. She may go envious because of his flirting nature. The beauty of their relationship is that both try to understand their partner and their feelings. They can understand their partner’s thoughts perfectly. Actually they share opinions and emotions. But at personal background, they may be dissimilar. They can keep the fire alive in their relationship only through honest behavior and respect for their partner. Simultaneously they should work out methods to complement his extremely serious nature along with her indiscretion. Gemini makes great compatibility with Libra born personalities. They both love to get along with people. Libra takes his own time towards their loved ones and they are ready to compromise to such a great extent in order to keep up their relationship. They both appreciate fine things around them and are very comfortable in communicating with other people. They know their partner very well. They never get fed up of their partner. Both think very well before taking any decision. Libra born is profoundly passionate about their life. Gemini carries great humor and keeps people smiling always. They can make a pleasing relationship. There exists wonderful harmony in their relationship. Her expressive nature gets attracted towards the social nature of Gemini. His daring personality, chatty nature and great aptitude attract her instantly. They can be the best couple if they learn to adjust in their relationship. Both of them are completely untamed and highly creative. She is very amusing, precipitate and highly sociable. Their relationship is filled with passion. They both know how to respect each other’s need for freedom. Both of them are open-minded and very attractive with capital. They are hardly easy which may be a minor issue in their relationship. They are completely opposite character in all aspects of their life. Scorpio tends to be very emotional whereas Gemini rarely gets close with people and majority of their romantic relationships are very shallow not very deep. Scorpio appears to be frightening to Gemini. He appears to be enticing to her. Scorpio appears to be very possessive. This extreme character may put them in trouble very often. They can even make a better match if there exist good understanding between them. They should keep themselves ready for any kind of modification. If they can overcome their disputes, there exists a strong stability in their relationship. There may be lot of unreasonable dissimilarities in their relationship. Her fervor towards life fascinates him and his completely rational points of discussion please her. Overall they both may not form a highly compatible match. He loves to have freedom in life whereas she does not like his action because of her possessive character. They face many difficulties in their romantic relationship. He remains very jealous in this relationship. He gets attracted by her in-depth intellectual character. In spite of all this, she also appears to be irresponsible, coy, friendly and conflicting. Initially there may be some obsession in their relationship but that may not stay for long term. Their relationship may attain success only if they both are ready to make abundance of adjustments. Both of them are impatient. They can’t stay with any single patient continuously for a long time. When these two personalities come into a relationship, their life will get transformed into a hurricane. Sagittarian may like to get engaged but Gemini doesn’t like the concept. In spite of much dissimilarity, they build a strong prospect. Together they face many problems but both of their neither bendy nor adjustable. They give respect to their partner’s perspectives. If they need to keep up their initial magnetism, they need to undergo little adjustment in their relationship. Their very strong personality can be easily depicted from their independent strength, sociable personality and friendly nature. She likes to attend parties and want to have fun at home. Both of them can get anger very easily and may go to cynical. Both are them are very intelligent and can casually enter into a highly meaningful conversation. Mental attraction keeps their bond very strong. They are not affectionate towards their partner by nature which may lead to minor problems in their relationship. They can live very happy life if they are ready to adjust a little. They possess a very different approach towards their life. Gemini seems to be quite brash. Capricorn holds a strong belief on values and rules in life whereas Gemini is completely opposite in his nature. He doesn’t have any rules and regulations in life. But once they are in a relationship, they may contribute to a major extend to other person’s life. Gemini has got the potential to establish some constancy. They can form a perfect match if they can communicate well with their partner. They both are not compatible in their relationship. He may break her soft natured heart by his flirting nature. She may like to establish a profound and high emotional relation. Her durable nature cannot withstand his anger. He has got the potential to train her to act bendy in her life. He can also change as per requirement in his life. She loves to have liberty in her life. He may find this difficult to digest and this is the starting point for their real problems in life. On the other side, she gives respect to his enthusiasm and will power towards his aim and he likes her passion and enthusiasm towards life. 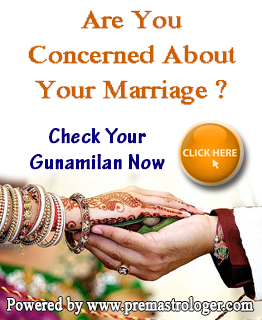 They carry similar approach towards their life and thereby have a great compatibility in their relationship. On intellectual background, they share an outstanding relationship. The amusing nature of them engages their partner. Together they share friends, well being and similar perspectives. Gemini likes the ingenuity and originality of Aquarian. In contrast to this, the fickleness of Gemini is loved by Aquarius. This is one among the strongest match ever seen. Both welcome qualities of their partner in the relationship. They both possess great brain. Combined, they discover novel views and have great experiences. He like to have alters and diversities. They don’t need any external friends as they find true friend in their relationship itself. Their relationship is definitely one among the best. Both of them possess erratic character. They love to have new adventures in life. They also need diversity and modification. They hold strong belief on impulsive behavior. They go aggravated if they need to stick on to tactics and rules. They both understand each other perfectly and they know their partner feeling correctly. They both are fairly supple and malleable. They are always ready to make amendments in life. They are not ready to stick into their estimation. This discrepancy is part of their character, Gemini is somewhat coherent in their approach towards their life but Pisces live in wistful atmosphere where things are ideal and all are good. Gemini is benefitted from their wisdom and can act more responsive. Both of them carry different opinions. They doesn’t form compatible match because of some dissimilarities in their characters. He love to have changes and can even change his mood in a matter of time. She may get hurt by this abhor quality of him which she liked in him when they first met. He is reluctant to any kind of profound emotional relation. But she always looks for a person who can shower her love, protect and take complete care of Pisces woman. He may put off because of her constant requirement of company and love. If they need a long lasting relationship, they should make compromises. Initially she may get attracted towards his fervent and pensive glance towards life. She is highly eloquent about all her thoughts at the same time; he may feel it difficult to come out with same expression. His responsive behavior may get hurt by her sharp dialect and frank behavior. She has to make him feel cared and loved in life.